Associate Professor Kimberlianne Podlas has won the Broadcast Education Association’s 2014 “Best Paper Award” in the Law & Policy division. Podlas will present her paper entitled “Off the Campaign Trail and Into the Courthouse: Can a Political Campaign’s Use of a Song Infringe on a Musical Artist’s Trademark?” in April, at the annual convention in Las Vegas. This is the third time Podlas has entered the Law & Policy Division’s Best Paper Competition, and is also her third win. 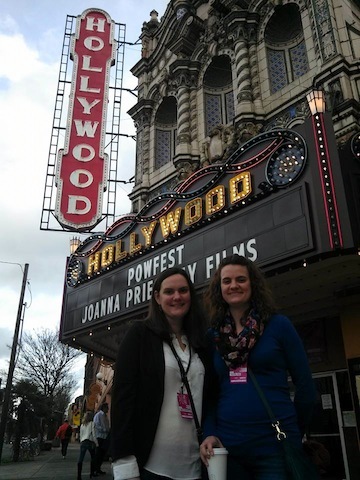 Mariah Dunn, MFA ’13, attended the Portland Oregon Women’s Film Festival (aka POWFest) this past weekend to show her film, The Healing Power of Art. 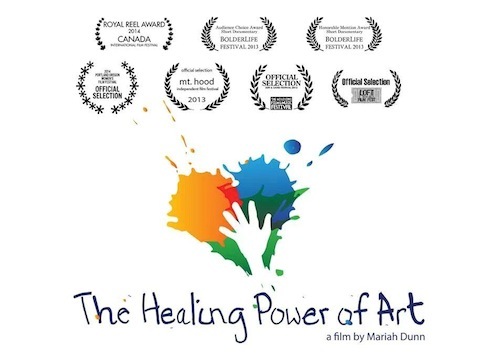 Dunn’s film won both the Audience Choice Award and Honorable Mention Award at the Bolderlife Film Festival, as well as a Royal Reel Award from the Canada International Film Festival. A few more festivals to go – keep bringing them home, Mariah! 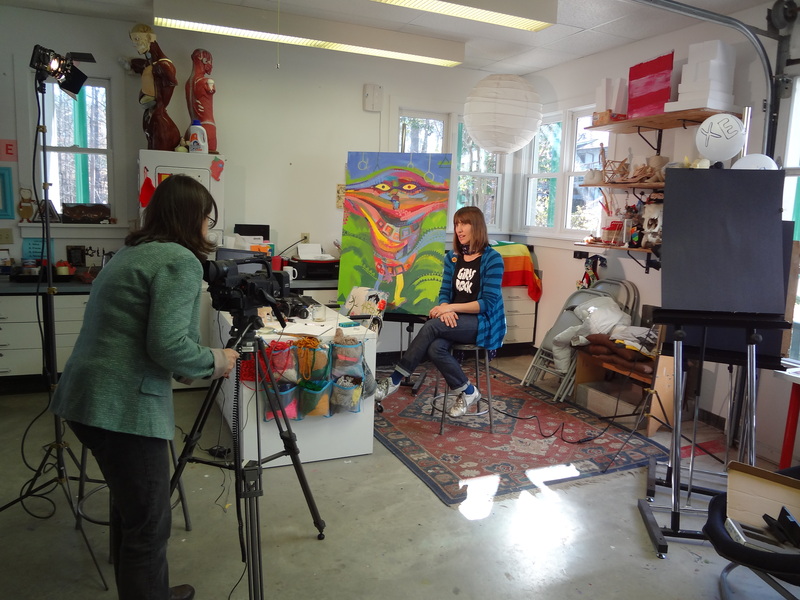 Carol Hammerstein, a student in UNCG’s MFA program for film and video production, will screen her 9-minute documentary, Girls Rock: Pass It On! at Alice Fest in Durham, North Carolina this Sunday. Girls Rock North Carolina is a summer music and empowerment camp for teen girls, one of some 40 independent non-profits that have been popping up all over the country. The film looks at the motivation of the women musicians who created this dynamic organization. Alice Fest is a film and media festival with work by women in recognition of Women’s History Month. It is named for Alice Guy-Blaché, a pioneering filmmaker who is credited with systematically developing narrative filmmaking. The festival takes place Sunday, March 9 at the Full Frame Theater in the American Tobacco District at 320 Blackwell Street.